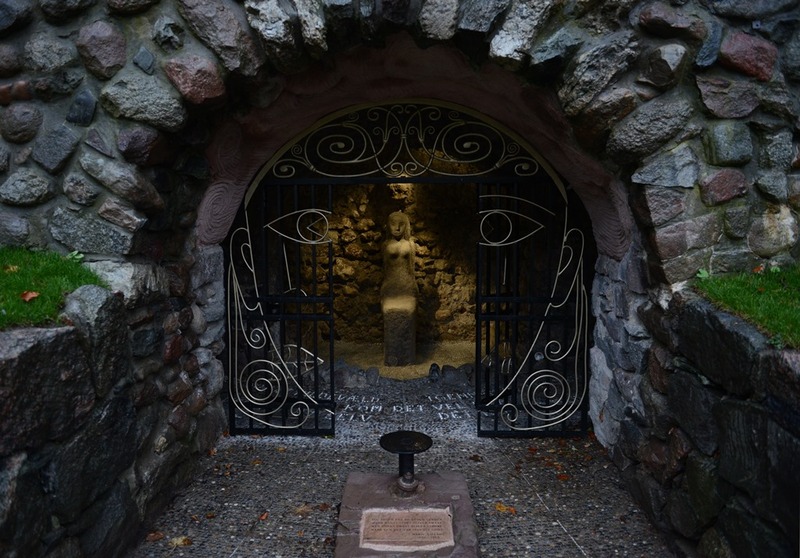 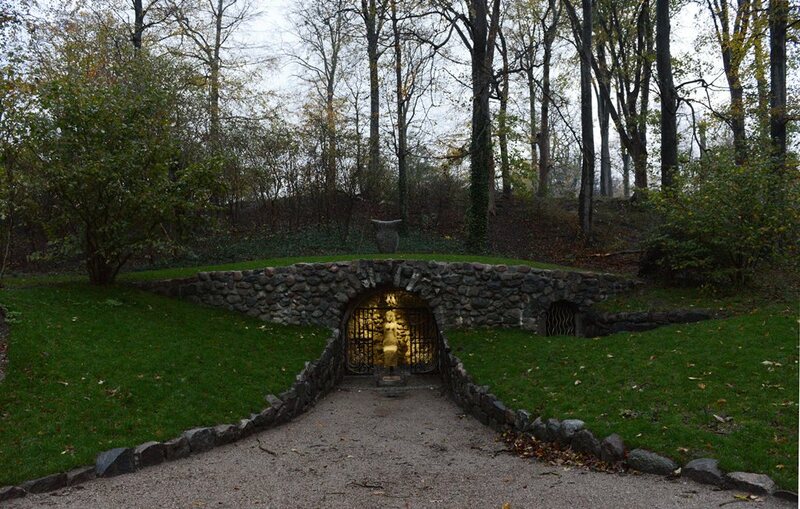 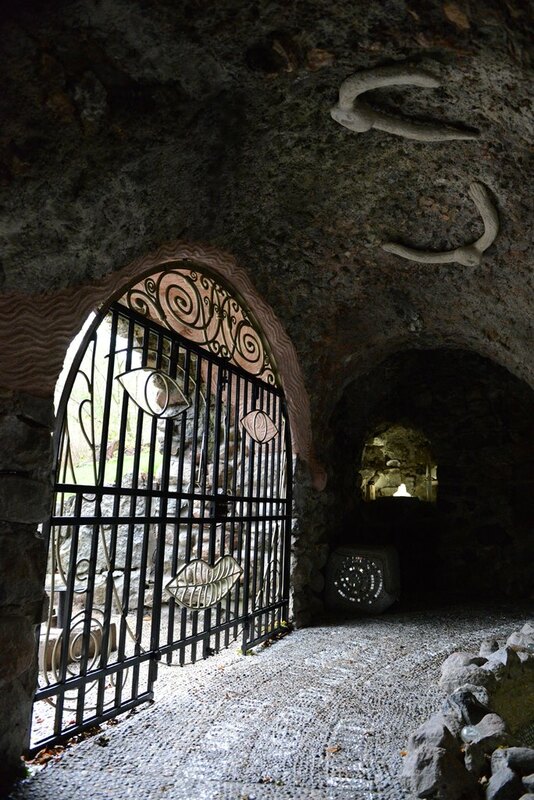 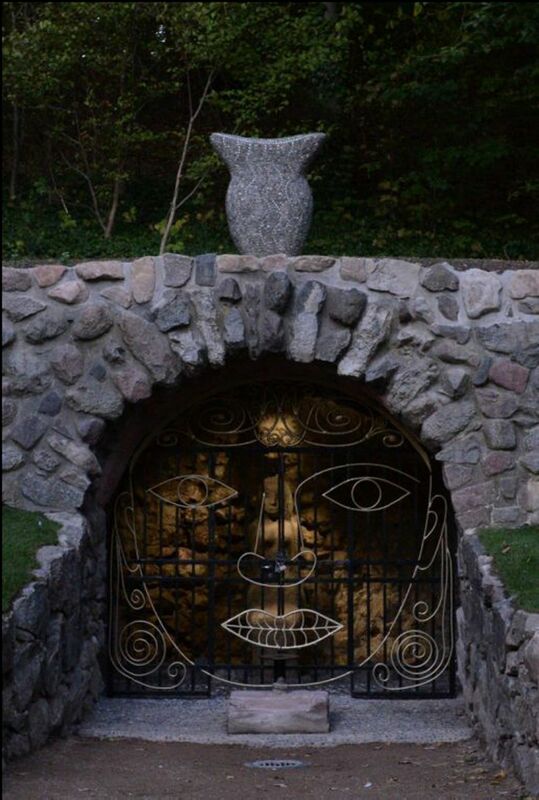 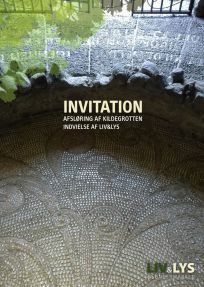 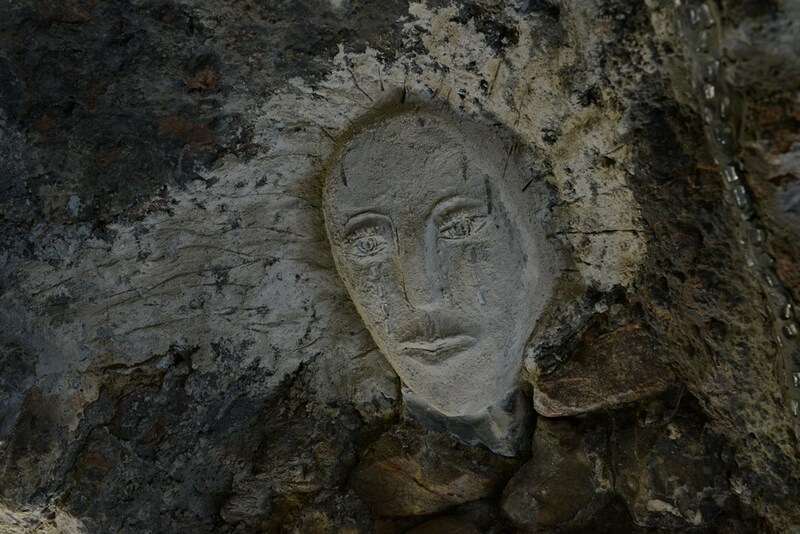 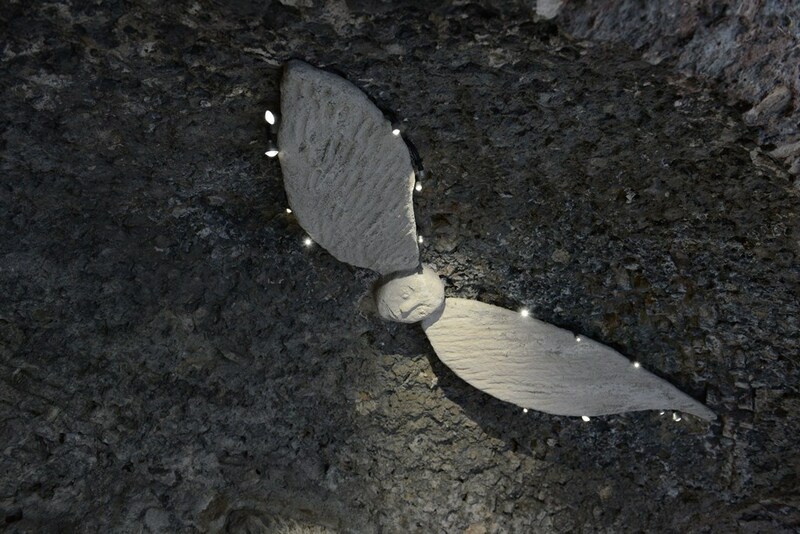 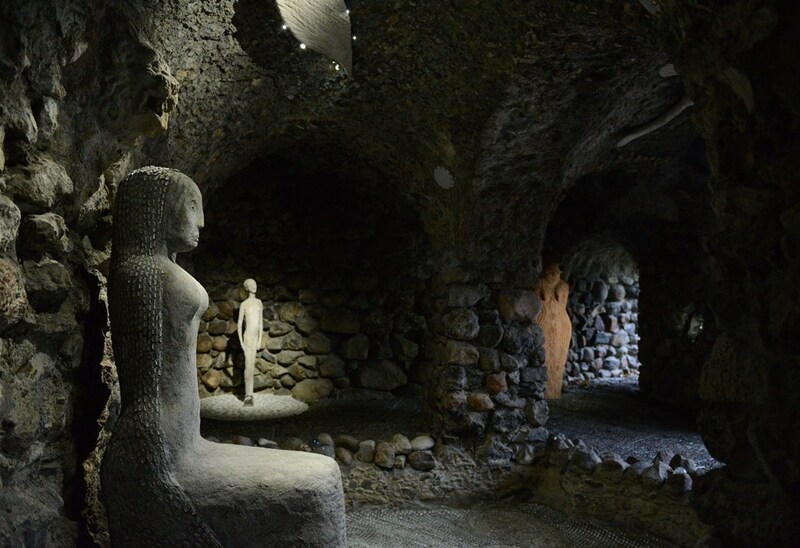 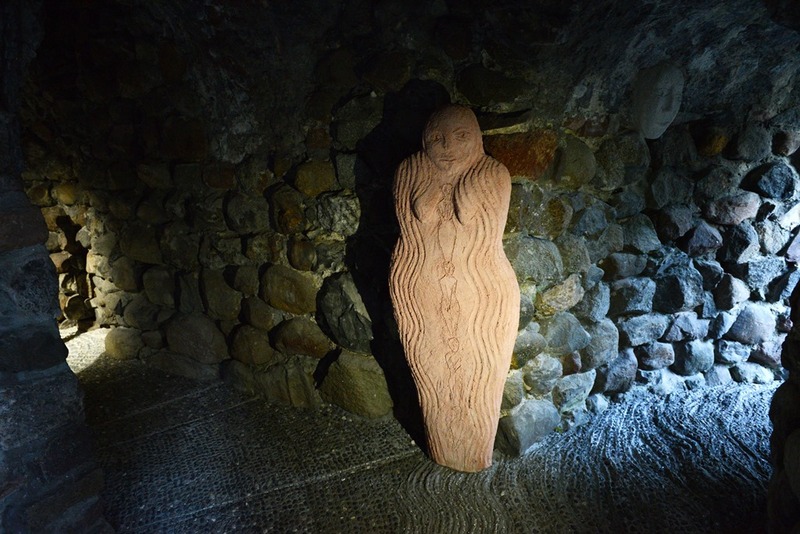 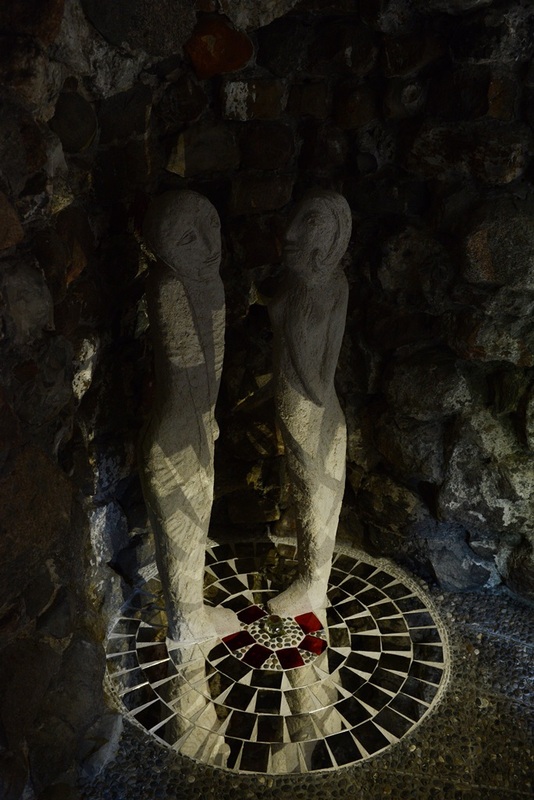 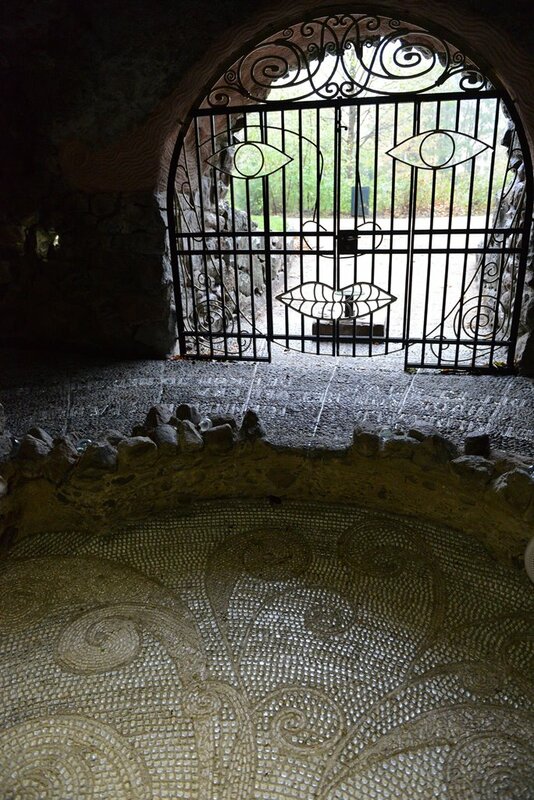 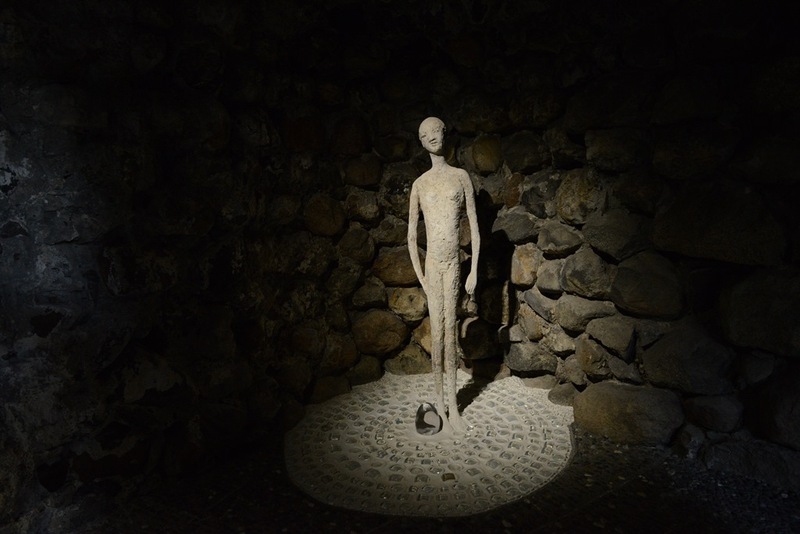 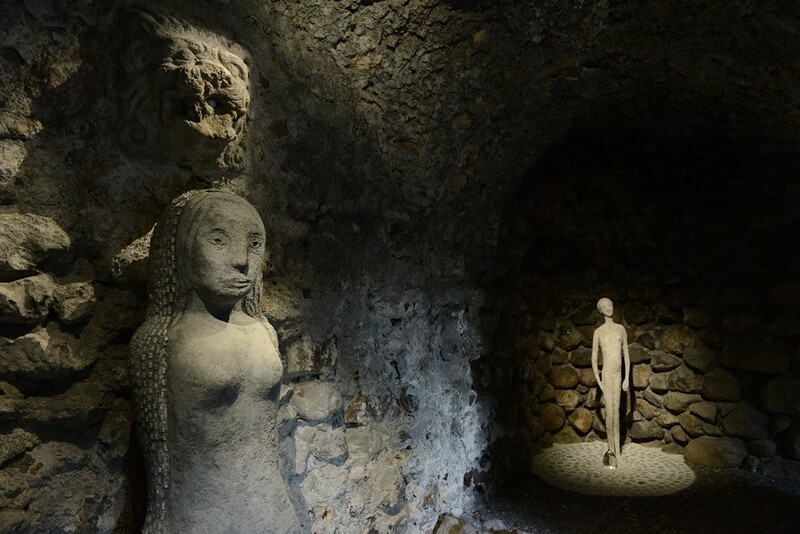 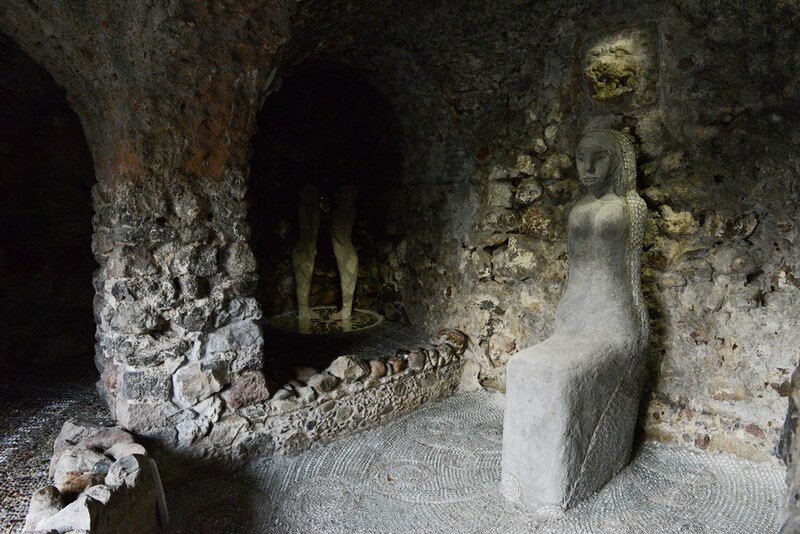 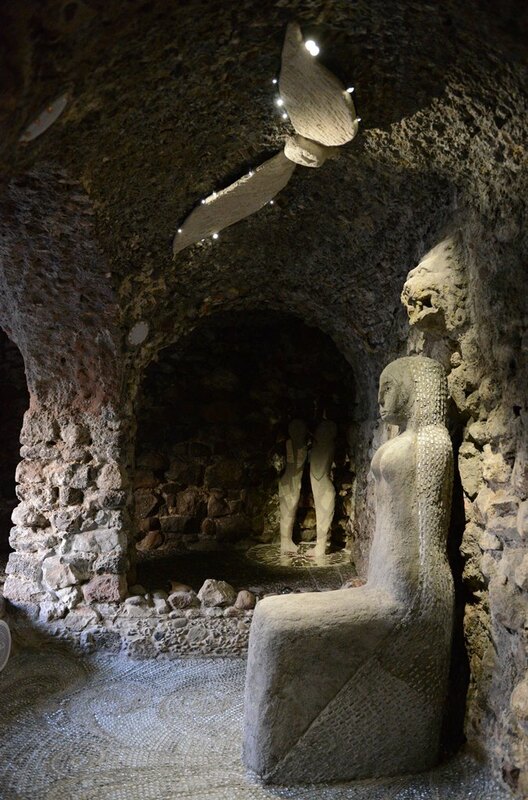 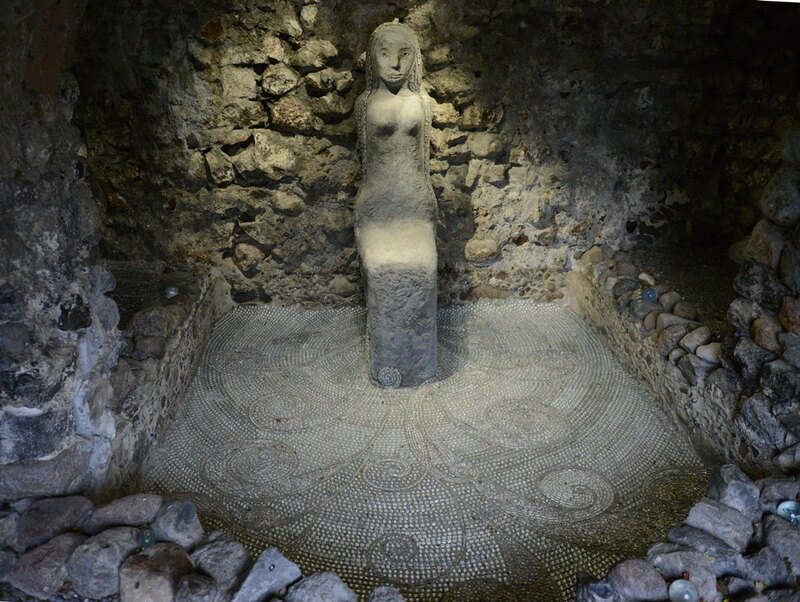 The Spring Grotto was recreated and reworked by the artist Marit Benthe Norheim and the sound composer Tonje Terese for the LIV & LYS (LIFE & LIGHT) project . 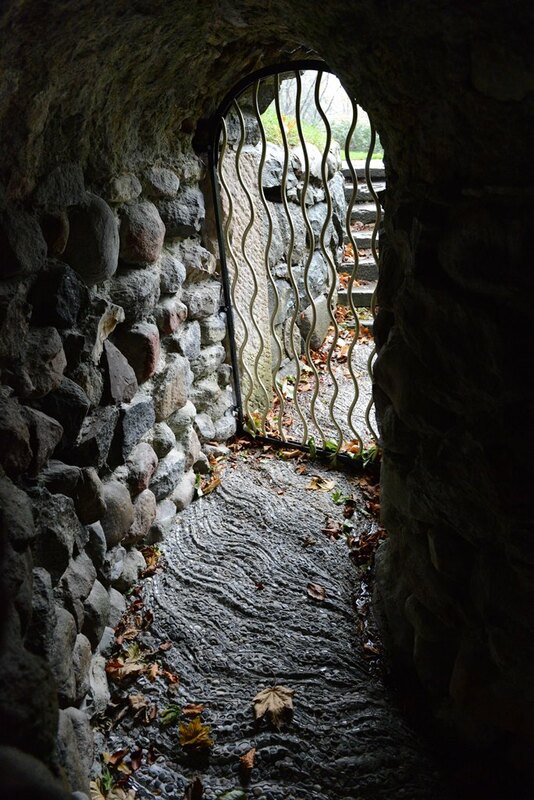 Søndermarken was transformed into a romantic landscape garden in the 1780s. 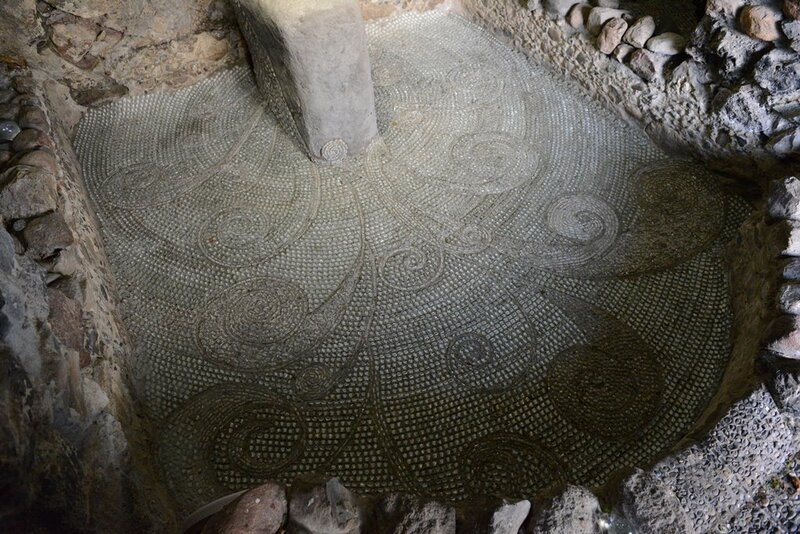 This was an era when the interest in Ancient Rome and Greece was at its height. 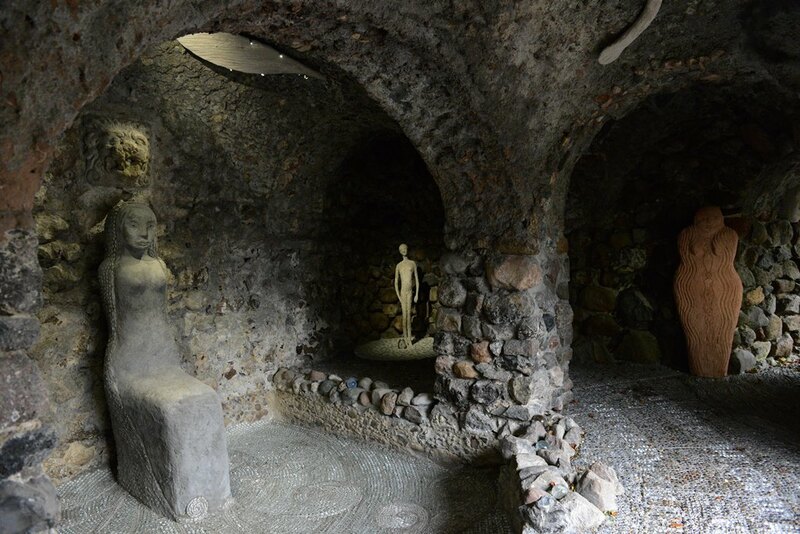 Inspiration to cultivate natural springs as places for the soul, where one could experience mysteries after extended periods of meditation, was drawn from ancient poetry. 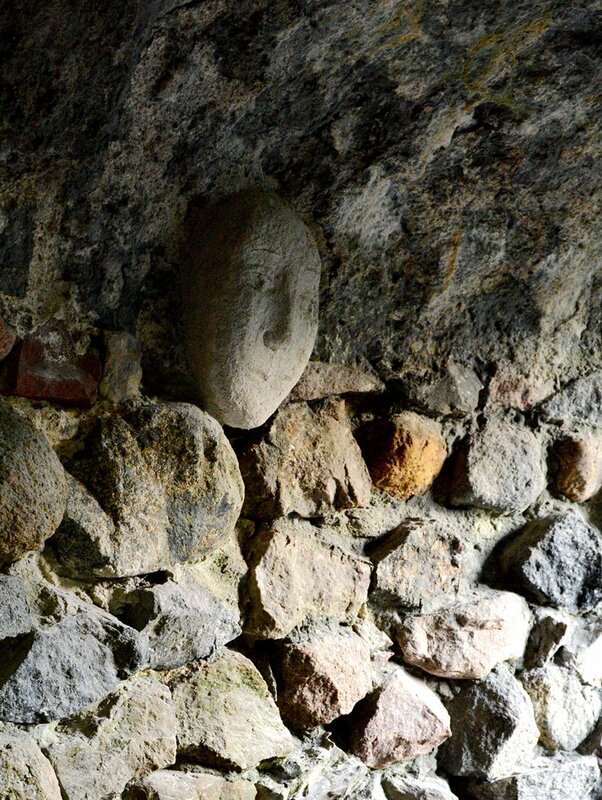 This was why grottoes and memorials were constructed near sources and transformed into places of worship. 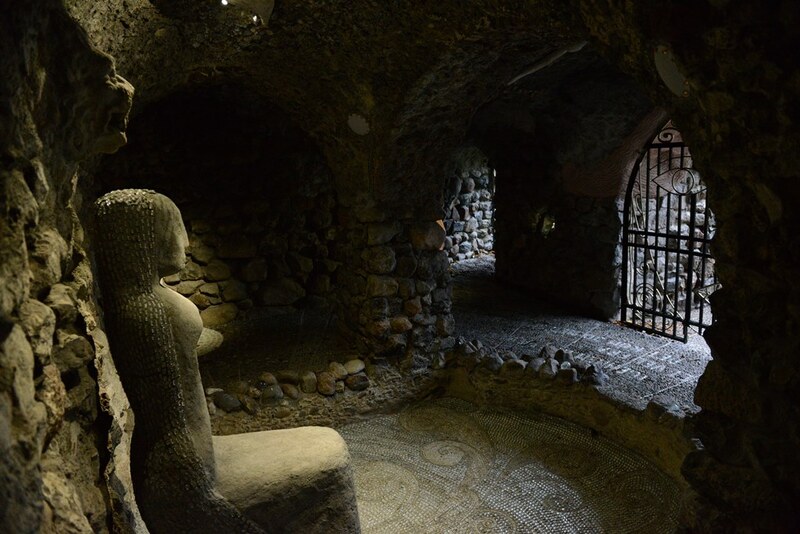 The Spring grotto was built in 1787 and is one of the oldest of Søndermarken’s preserved buildings from the romantic period. 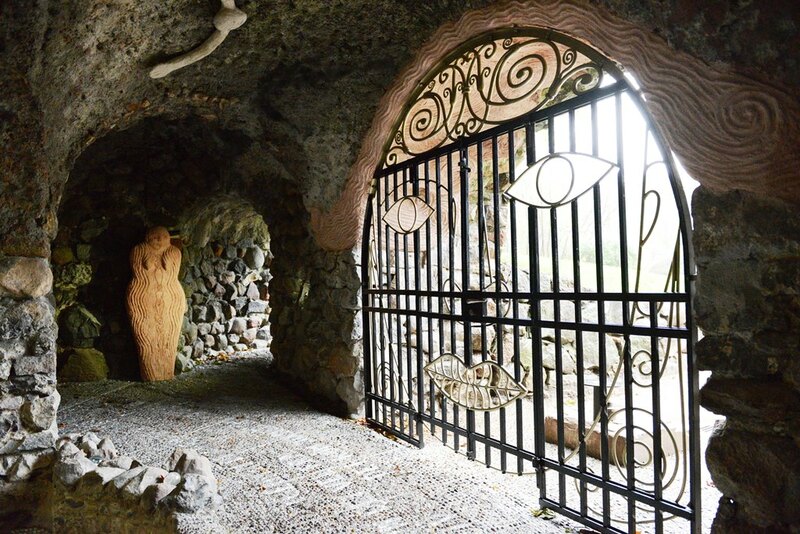 The Romantic poet Oehlenschläger described it as an enchanted fairy cave with glittering crystals and ore samples. 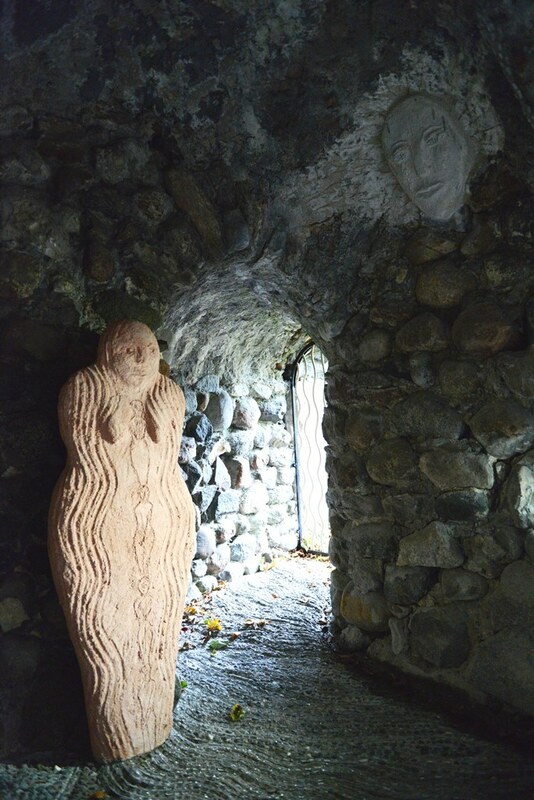 Both the splendour of the cave and the natural spring disappeared over time. 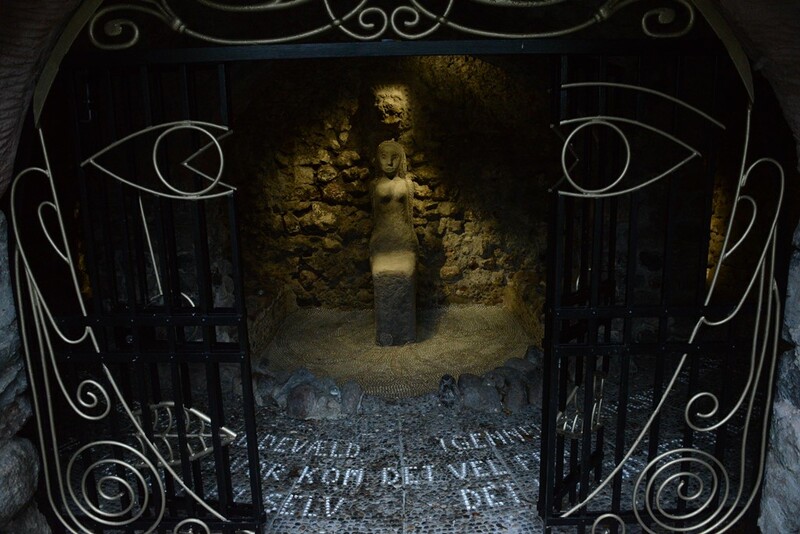 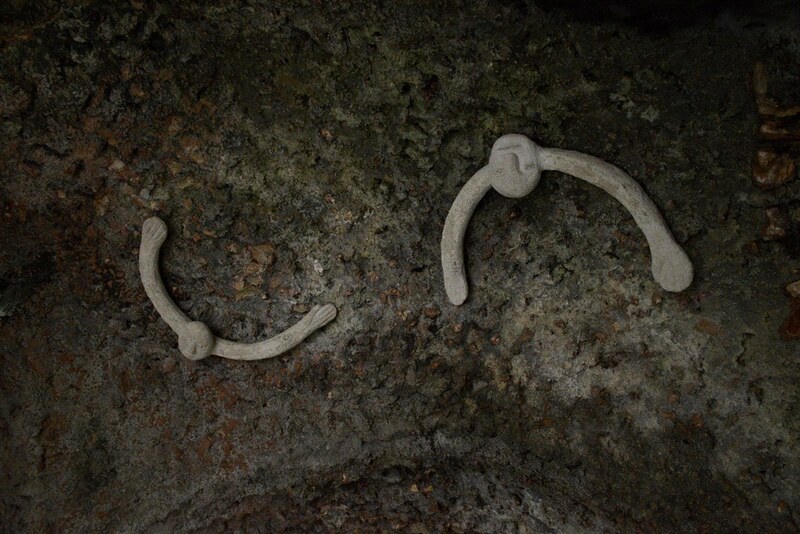 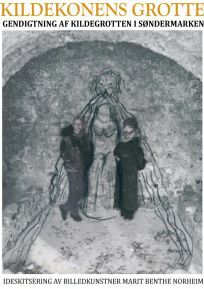 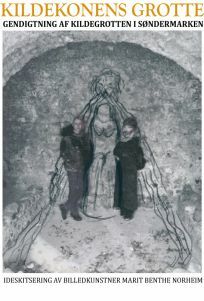 Marit Benthe Norheim and Tonje Terese have taken the spring water as their point of departure and symbol, and the story of the poor woman of the spring, Marie Villads, who sold water and her own poems at the Spring Grotto. 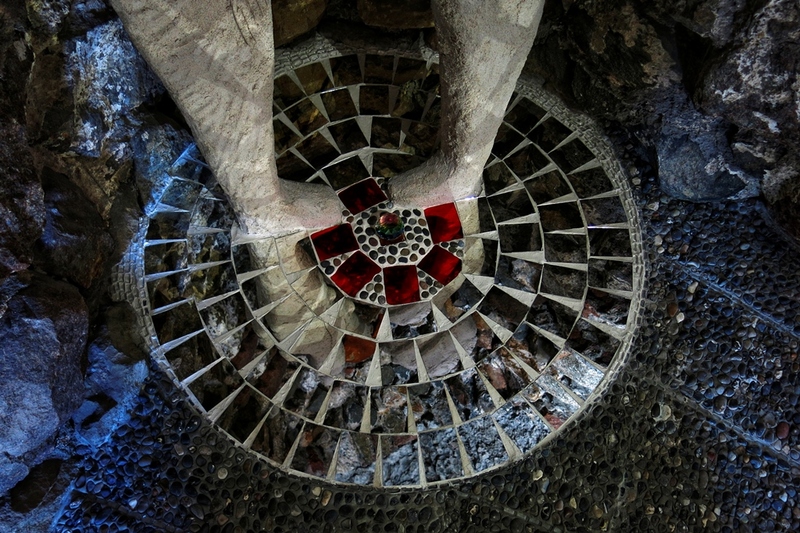 Through mosaic, sculpture, light, and sound, they have interpreted Marie’s life and texts. 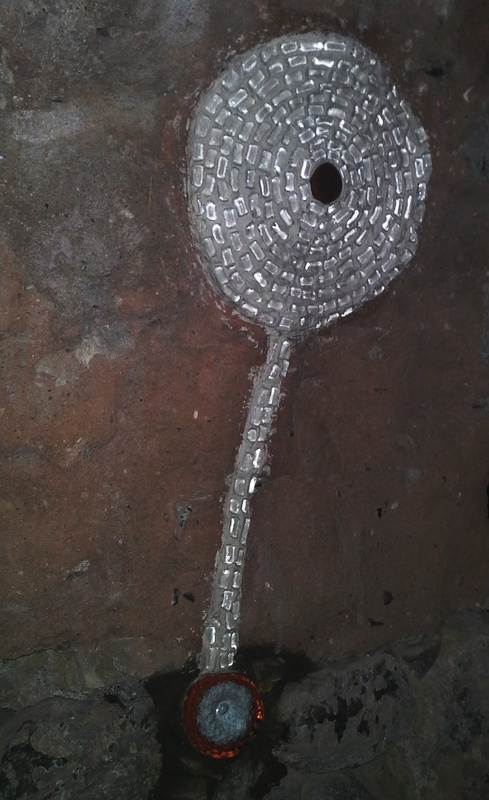 The music consists of 4 different works, in a cycle of 30 minutes.